Hugo is a bit of a dribbler which is strange for me because Henry never dribbled unless he was teething. Throughout the day Hugo will saturate his clothes, and I am forever wiping hip over with a muslin cloth. Lucky for us we were sent a couple of the Mum 2 Mum bibs from Baby & More which have been saving Hugo’s clothes while keeping him comfortable. This cute plane/nautical stripe bamboo bandana bib has become my best friend of late. It has three layers which help draw the moisture away from the skin which helps keep Hugo comfortable and prevent him from getting sore. It also keeps his clothes dry which is really useful especially now the weather is getting a bit cooler. Despite it having three useful layers it’s lightweight, and Hugo barely notices he is wearing it which makes it ideal for him to wear throughout the day. The backing is adjustable and what’s even better is that the pattern is reversible. 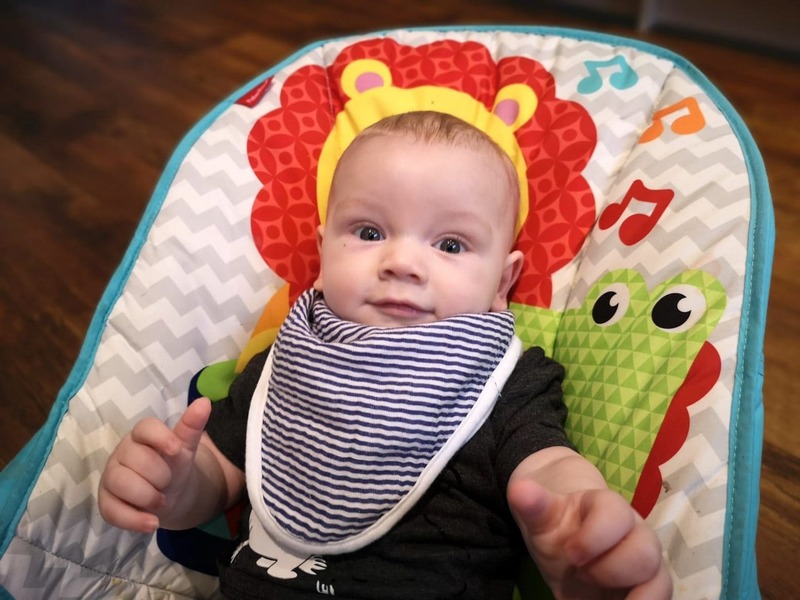 We were also sent the Bandana Bib which has been an absolute sanity saver these past few weeks. 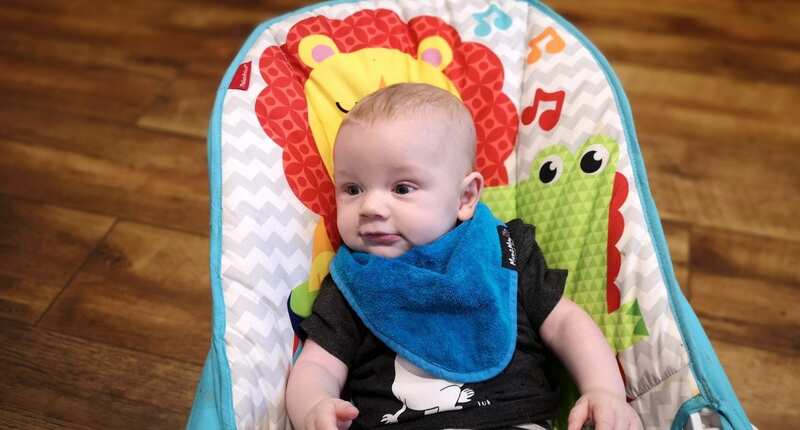 This bib is waterproof and can hold a quarter of a cup of liquid!! 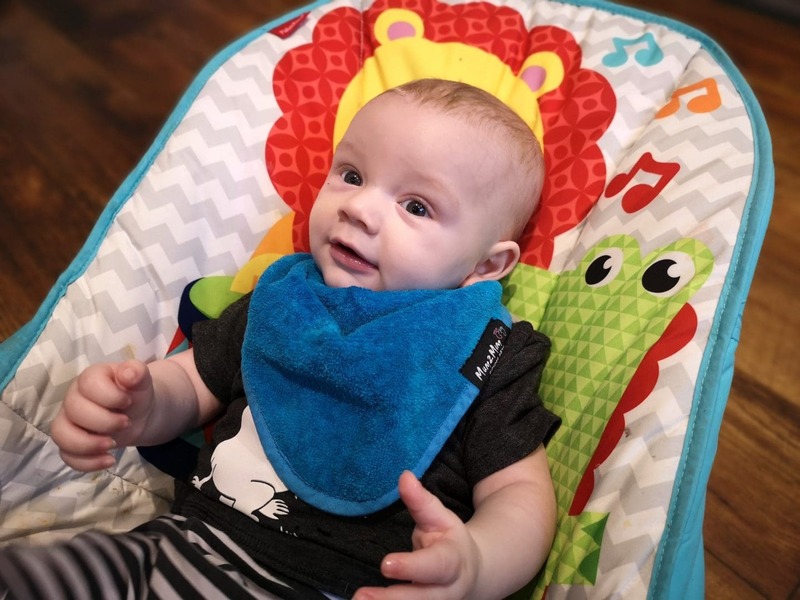 The neckline adjusts for comfort, and it’s nice and breathable against Hugo’s neck preventing him from overheating or becoming uncomfortable. When he has finished using it, I can just throw it in the washer machine and into the dryer, and it’s ready to reuse again! I think when we do eventually hit the teething phase; this is going to be an essential item. 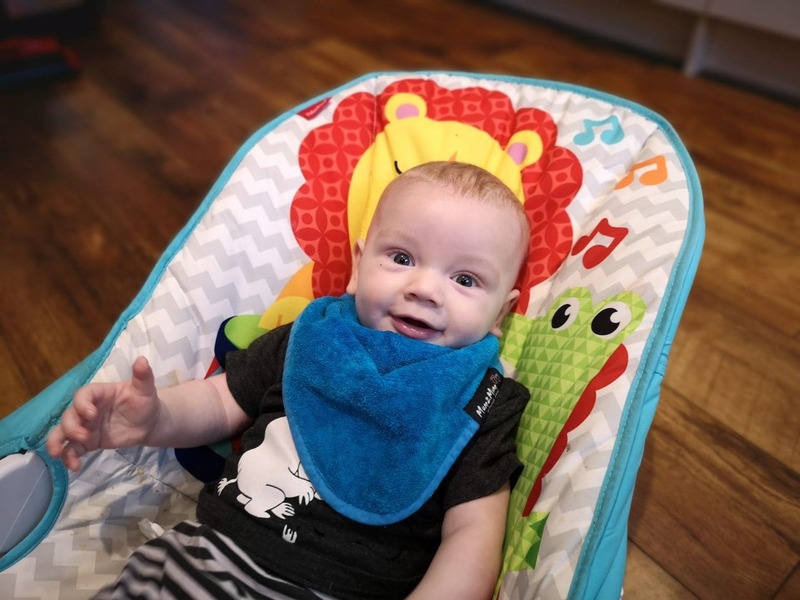 I’m really impressed with the quality of both the bibs and I like that even when wet they are lightweight. They seem comfortable to wear, and Hugo doesn’t even realise he is wearing them. I was surprised at how absorbent they both were and also after Hugo had worn them for a while his clothes were still protected and dry. I have washed both bibs a few times now, and they always look and feel like new! 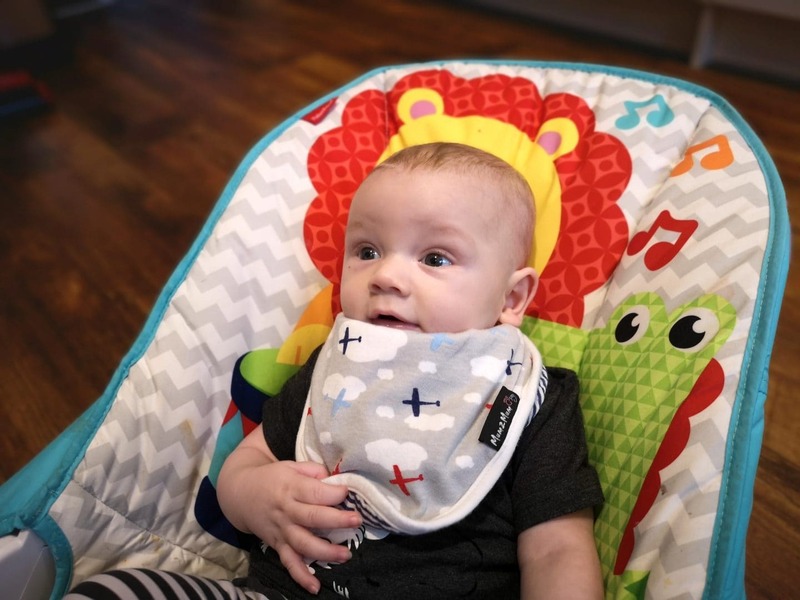 There is a great selection of bibs to choose from on the Baby & More website.